A neat place to visit in Uptown Charlotte's Art District. 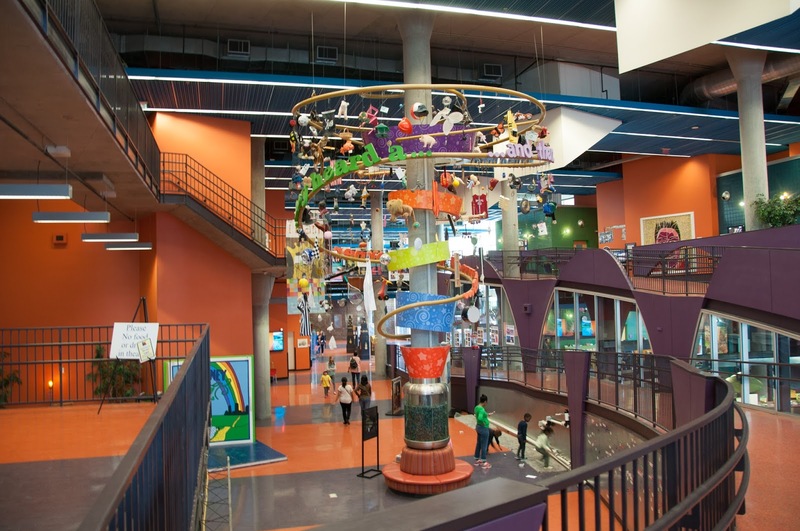 ImaginOn is part of the Charlotte Mecklenburg Library System and features the Spangler Library for Children, where children of all ages can find hands-on, engaging activities to explore. 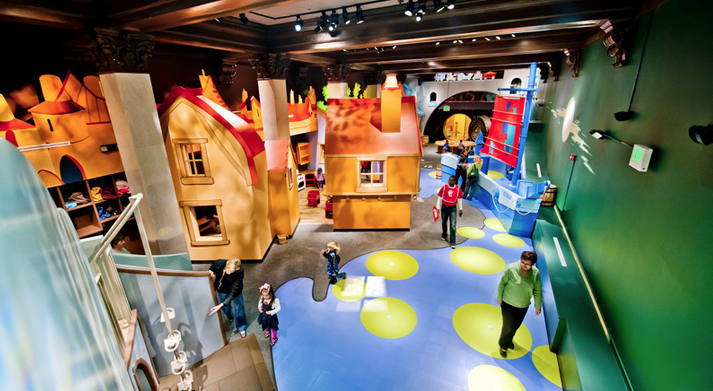 We love to go to their family story time that is held most days at 10:30am (check their schedule here) and then go explore the different interactive areas, like a life sized wooden trolley that the kids can sit in and imagine going on a trip. Admission is free and parking is validated for an hour and a half visit. This place is straight out of your child's dreams! It is really neat - a fully interactive indoor playroom that allows imaginations to soar! It even has a fort at the top of a fun staircase to explore and a dress up room with a rack full of costumes for fun role play. Kids can run free within the space as there are attendants at the entrance to keep the little ones from wandering out. 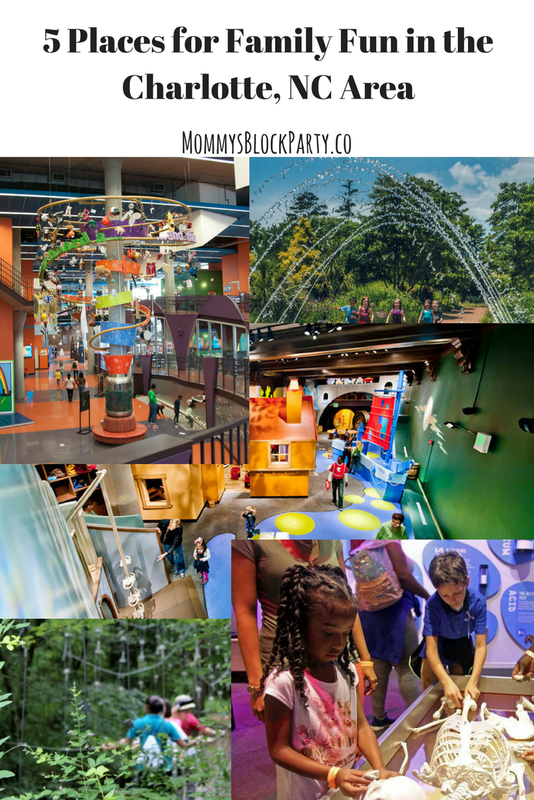 This really is a fun visit especially for younger children who will just be amazed by all the bright colors and spaces to explore! Admission for adults and children over 1yr is $6 for the day (under 1 is free). 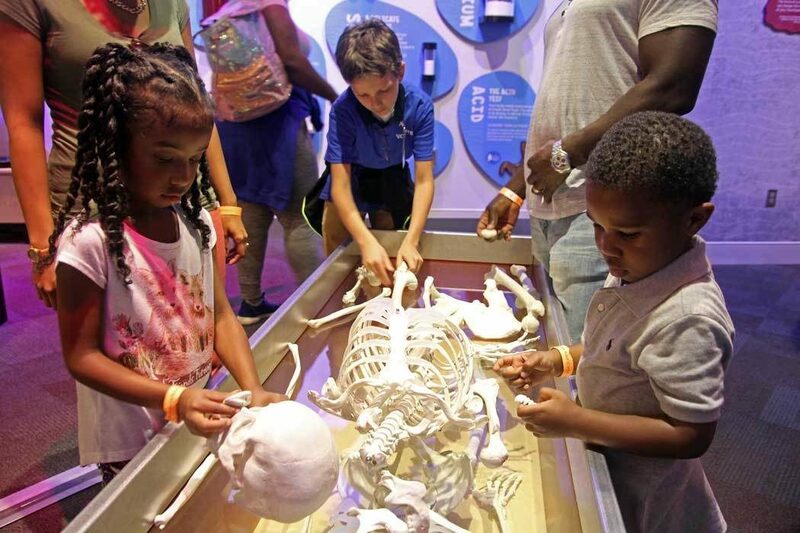 Discovery Place Science is located in the heart of Uptown Charlotte, NC and is full of exciting experiences for kids of all ages. Their fun and engaging exhibits and labs encourage curiosity about the world around you - one of the current experiences that they offer is "Being Me", a lab that celebrates the unique characteristics of being human and features a human sized hamster wheel that allows you to test out your stamina and gives feedback on your heart rate, speed and distance traveled! 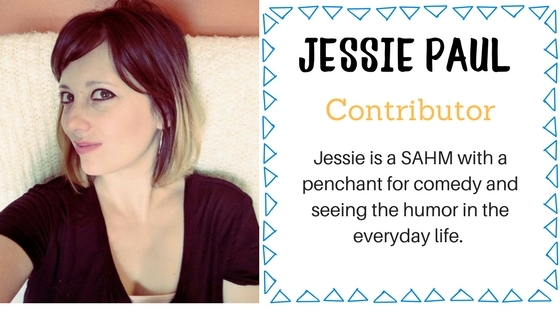 Other curiosities include: find out how much poop the average human produces in a year, use the vein viewer to take a look at your veins and arrange the bones at the Bone Table to try to put a human skeleton back together! And that is just one of the labs and exhibits that you can visit while you're there! Admission is $13 for children, $17 for adults and parking is validated for the first hour. The Daniel Stowe Botanical Garden is a beautiful place to spend time outdoors with your family! There are many special gardens to explore as you walk along the trails. 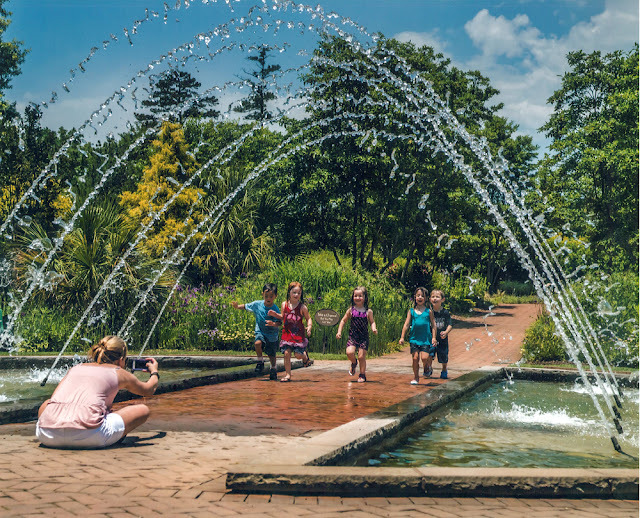 There are water features and fountains like the Tunnel Fountain pictured above, which is a kid favorite, located in the Allee Garden. While you're there, you can visit Lost Hollow: The Kimbrell Children's Garden, where children can play and explore. Admission is $12.95 for adults and $6.95 for children over 2. 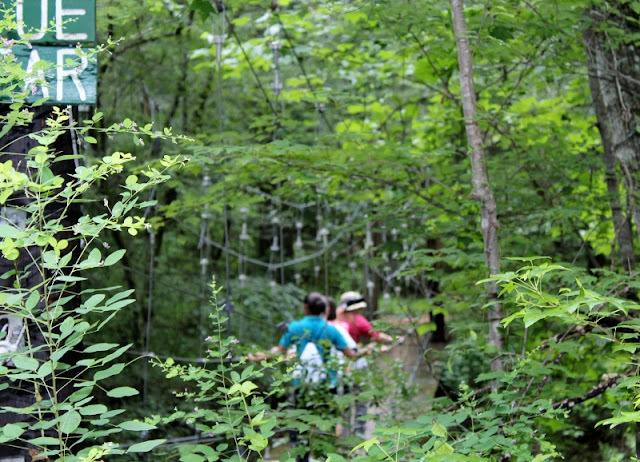 Another fantastic spot to get outside with your family is the Anne Springs Close Greenway, located in Fort Mill, SC. The Greenway hosts many outdoor activities including: hiking, kayaking, mountain biking, horseback riding, fishing and camping. You can spend the day exploring and plan a picnic lunch. It's such a great place to just let the kids run free and be a little wild, you know, be kids. Their hiking and picnicking fee for the day is $5 for adults and children over 4. We have so many amazing places to visit and explore right around us here in the Charlotte, NC area! I am excited to go visit these spots all over again after writing about them! Plan your visits soon while the weather is so nice. This sounds like a lot of fun. I think we would like the Anne Springs Close Greenway.